No surprises here. 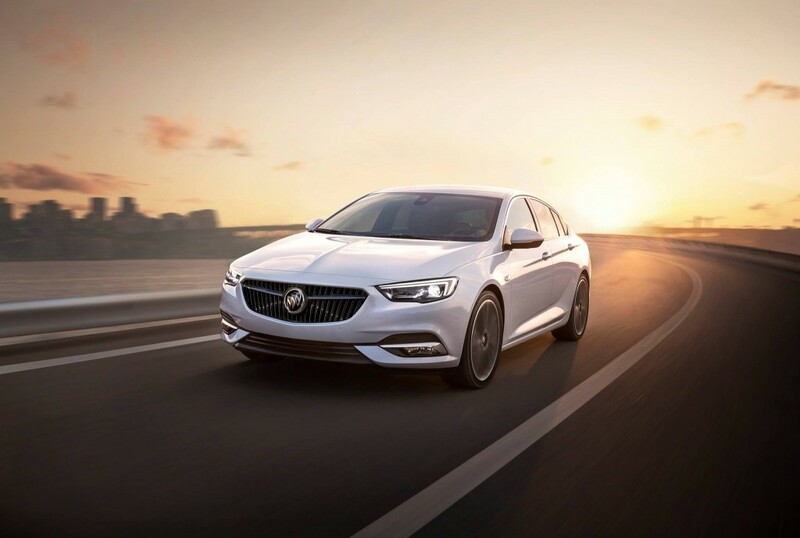 The 2018 Buick Regal has been leaked ahead of a reveal in China, and it is a 2018 Opel Insignia Grand Sport with swapped badges. It’s long been known the new Insignia would be the basis for a new, larger 2018 Regal, but these are the first official photos we’ve seen of the vehicle wearing the tri-color Buick badge. It also looks as if these photos show the Regal in a lower specced trim, judging by the wheel design, headlights and lack of fancy tailpipes at the rear. The 2018 Regal is said to debut at the Shanghai Auto Show in April of 2017 and arrive with 1.5-liter and 2.0-liter four-cylinder engines. A Regal Hybrid, which will combine a 1.8-liter four-cylinder and an electric motor, is also reportedly part of the powertrain lineup. We can’t host the photos here for various reasons, but you can follow the link right here to see them yourself. We’d say our rendering got pretty darn close to the real thing, though. sorry for that but thanks. and looks is better word than seems i think now. The wheels really make a difference in the look of the car. With fast, quick glance, it looks like a Chevrolet Malibu. I’m looking forward to the station wagon version, to replace a Volvo V70. As for the rendering: Good work boys. This looks real good and I am looking forward to its debut here in the good ole US of A. Where IS the GRAND NATIONAL !!!!!!!!!!! !